The much anticipated Monaco ICO, Initial Coin Offering, will start in the coming hours. Monaco is the creator of the Monaco Visa Card. The card operates and is accepted just like a regular Visa card around the world. The functionality of the card is that it can be used to purchase goods in 23 currencies or 120 countries worldwide with no cost to the user for this ability. As you use the card, it automatically exchanges your Ether or Bitcoin into that currency and your purchase goes through. Only the exact amount that you spend will be converted from Ether or Bitcoin to your card while while the remainder will stay in your private wallet. The actual conversion from Ether to the currency you are paying in is covered by Monaco and costs you nothing. If you are holding Bitcoin, the Monaco system will first exchange the Bitcoin to Ether and then funds your purchase. As mentioned, the Initial Coin Offering starts in about two hours from the time of this publication. As per Monaco’s terms here are some of the details of the ICO. No more MCO will be created after this period. The offering size is based on the amount of Ether that is committed by contirbuters to the ICO. 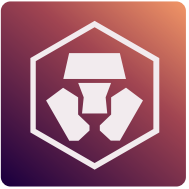 As Ether is contributed, the Monaco tokens are created. 30% of all tokens will be sold during the launch. There was no presale and the first tokens will be released at the opening of the ICO. The tokens will be sold at the opening of the Monaco ICo on a sliding scale giving the first buyers a “discount” on the tokens. The rate of MCo to ETH starts at 150 MCo for each ETH paid for first buyers and goes down to 100 MCO per ETHER paid. The estimate is if 150,000 ETH is raised, which is the soft cap, then 17.6 million MCO tokens will be created. Additional MCO will be created for the Capital Reserve, founders, advisors and early investors. We will cover this in a further article. Limited Edition Monaco VISA® BLACK Card will be issued to first 999 customers. There will be no Monaco VISA® BLACK Card issued after the initial 999. Triple monthly free ATM withdrawal limit. Lifetime unlimited perfect interbank exchange rates. We will continue to keep our eyes on the Monaco ICO and update you later. Participate in the Monaco ICO and receive your Monaco Visa Card here. 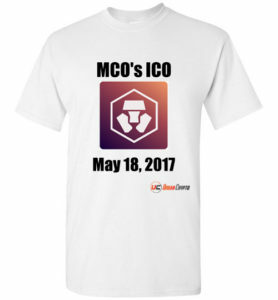 We have created a T Shirt for Monaco’s ICO. Click on the image to purchase. As the ICO has been running for about a day, there seems to be some confusion amongst some of the early contributors to the Monaco Visa ICO. Many are confused about the “Black Crad” distribution as this was one of the attractive parts of being in the first 999 contributors. There are also concerns about early contributors regarding confirmation of their copntributions and their position on the leaderboard. Whispers of early problems with the ICO are mentioned on Monaco’s Slack group. After the update i posted a few hours ago, I got in contact with Kris Marszalek, the CEO directly. I find it amazing that he makes himself available to everyone and anyone during this hectic ICO period. If that is the type of businessman he is, I am sure that your money is in good hands. “I think given the lack of premarketing it’s going great. We are going to turn up the volume of communications with the community, reddit, bitcointalk, etc..